As a freshman, Connor Odekirk '15 says he decided to break away from the pack and take Russian at Bryn Mawr College. "Something stuck," says the English and Russian double major from Charleston, W. Va. "My freshman-year experiment managed to give rise to a deep appreciation for a language and culture that I am still trying to understand to the fullest extent." Odekirk, 22, will get his chance to practice his Russian and delve deeper into the culture as a winner of a 2015-16 Fulbright English Teaching Assistant Grant to a university in Russia. His award brings Haverford's total for this academic year to five Fulbright winners, which is the fourth time in 13 years that so many students have won and ties the college's all-time record. In addition to teaching English, Odekirk plans to start an English conversation club, "where I hope that Russians of all ages interested in practicing their English language skills will come," he says. "This will allow me to connect with more of the community outside of the university classroom, as well as to get to know individuals on a personal level, which is something that I hope to achieve." Odekirk studied abroad for six months in St. Petersburg during his junior year and says he loved the immersive experience. He also enjoys teaching. 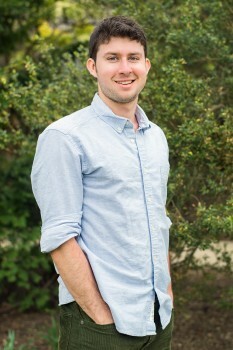 "The Fulbright ETA seemed like an amazing way both to continue pursuing my interest in Russia and the Russian language," he says, "and also to gain pedagogical experience."